Editor's note: Did you think dangerous plastic is being dealt with? Nope. "Most of a sample of 455 commercially available products tested positive for EA [estrogenic activity]." How about plant-based plastics? "PLA (polylactic acid), a newer resin derived from corn and marketed as compostable under certain conditions, ranked highest with 91 percent of PLA products showing EA." The technofix approach to pollution is government regulation to the rescue: address one small or large problem without tackling the whole system of pollution, poisoning and corruption. Such as, getting lead out of gasoline: good that the U.S. did this, but we kept using gasoline -- more benzene was needed. What's the answer, O weary modern human? Picture, if you dare, a gasoline-free, plastic-free world. Unfortunately, a “BPA-free” label offers no assurance that a product won’t leach chemicals with estrogenic activity (EA), according to a study that appeared in the online March 2, 2011 issue of Environmental Health Perspectives. In fact, the study measured EA leaching from all sorts of food-contact plastic products made with resins other than polycarbonate. Plastics are produced by polymerizing (linking together) plastic monomers into long chains. A wide array of chemical additives can be thrown into the brew to achieve desired characteristics like flexibility, transparency or resistance to breakdown in sunlight. Because polymerization is almost never complete, the leftover plastic monomers are free to migrate out. The additives can migrate out too because they are just ‘mixed in’ rather than chemically bonded to the polymer. The mixture of chemicals that went into a final product is considered proprietary information, but the study authors point out that a single plastic component might be made of 5-30 chemicals. An item made of multiple plastic components, like a baby bottle, could consist of upwards of 100 chemicals, any of which might migrate out. Furthermore, the conditions to which plastics are often exposed in everyday use, like microwaving, sunlight and/or dishwashing, might encourage chemicals to leach out. Leaching might also occur faster or slowing depending on the type of food or liquid contained within a plastic. Complicating the picture even further, a chemical constituent showing no intrinsic EA might be altered by the manufacturing process into one with EA. Thus, the researchers in this study recognized that, to appreciate the real potential for leachates with EA, they would need to test finished plastic products under various conditions, like after sunlight exposure or microwaving, and using multiple extraction solvents (saline or ethanol) to mimic different foods/liquids. The assay they used for EA is a sensitive, accepted screen for EA based on the ability of a test substance to mimic the binding of natural estrogen to estrogen receptors in the nuclei of a line of breast cancer cells (MCF-7) and, consequently, to trigger cell proliferation. The EA of any substances testing positive is this assay is confirmed by showing that the cell proliferation can be prevented by a compound known to block the action of natural estrogen. It is generally assumed that plastics fashioned from common resins other than polycarbonate – like polyethylene (PE), polypropylene (PP), polystyrene (PS) or polyethylene terephthalate (PET) – do not release chemicals exhibiting EA. This study thoroughly debunks this supposition as it reports that most of a sample of 455 commercially available products tested positive for EA. 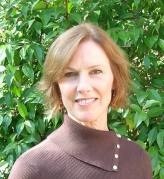 The authors purchased a wide variety of plastics items used to contain foodstuffs from large retail stores in the Austin, Texas and Boston, MA areas – plastic bags, food wrap, baby bottle components, flexible and rigid packages, and deli containers – none of which were known to contain BPA. Between 44 and 100 percent of the product types showed EA using either saline or ethanol as solvents. Plastic bags and food wrap topped the list at 98 and 100 percent, respectively. 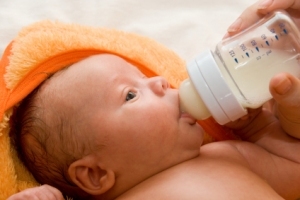 Perhaps most alarming, 89 percent of baby bottle components leached EA. Some of the products tested released chemicals exhibiting more EA than BPA-containing products. No one type of commonly used plastic resin came out smelling all that much better than the others as the number of samples testing positive for EA ranged from 50 percent for PS products to 75 percent for those made of PET. PLA (polylactic acid), a newer resin derived from corn and marketed as compostable under certain conditions, ranked highest with 91 percent of PLA products showing EA. Exposing the products to microwaving, moist heat or especially UV light tended to promote greater EA. Whether or not products had contained a food substance at time of purchase did not alter the overall results, indicating that the container rather than any previous contents was the more important source of EA. Products obtained from large retailers that specialize in organic inventories were just as likely to test positive for EA as counterparts purchased from conventional stores. The researchers also examined commercially available plastic monomers used in plastic manufacturing, and a number of them exhibited EA. More than 50 common plastic additives they tested exhibited EA too. Among them were BHA and BHT, the oldest and most commonly used antioxidants in food contact plastics. Antioxidants are critical to plastic manufacturing because they inhibit the breakdown of the polymer chain. Among the chemicals showing EA, the researchers identified a particular molecular configuration (phenolic) which they feel explains the EA. They proposed that the problem of leachates with EA from food contact plastics can be solved by substituting already available plastic monomers and additives which do not exhibit this configuration in both their original state and after exposure to conditions like UV light or heat, yet still yield the desirable properties of popular plastics. The lead researcher in this study, George Bittner, Ph.D., and some of the co-authors participate in companies that develop and market chemicals that do not exhibit EA (Certichem, Inc. and PastiPure, Inc.). In this research report, they claim that switching to plastics which do not release chemicals with EA would add little or nothing to production costs. The above article is from Dr. Mosko's website BoogieGreen.com, and first appeared in the Surf City Voice in mid March, followed by the Fullerton Observer, both in California. The lead researcher in this study, George Bittner, Ph.D., and some of the co-authors participate in companies that develop and market chemicals that do not exhibit EA (Certichem, Inc. http://www.mbtsapatos.com/mbt-...omens.html and PastiPure, Inc.). In this research report, they claim that switching to plastics which do not release chemicals with EA would add little or nothing to production costs. Donovan Jamal McNabb (born November 25, 1976) is an American football quarterback for the Minnesota Vikings of the National Football League (NFL). He was the Philadelphia Eagles' quarterback from 1999 to 2009 and spent the 2010 season with the Washington Redskins. In college, McNabb played football and basketball for Syracuse University. The Eagles selected him as the second overall pick of the 1999 NFL Draft. McNabb led the Eagles to four consecutive NFC East division championships (2001, 2002, 2003, and 2004), five NFC Championship Games (2001, 2002, 2003, 2004, and 2008), and one Super Bowl (Super Bowl XXXIX, in which the Eagles were defeated by the New England Patriots). Perhaps his most memorable play has become known as "4th and 26", which took place against the Green Bay Packers in the final minutes of a 2003 NFC Divisional playoff game. He is the Eagles' all-time leader in career wins, pass attempts, pass completions, passing yards, and passing touchdowns. Thanks for the enlightening article. Options of environment-friendly plastics are there. It is up to the mass producers of plastic products like plastic bag manufacturers, plastic bottle manufacturers and others to complete their obligations towards the environment.